Explorer/Private Kayaking sessions. 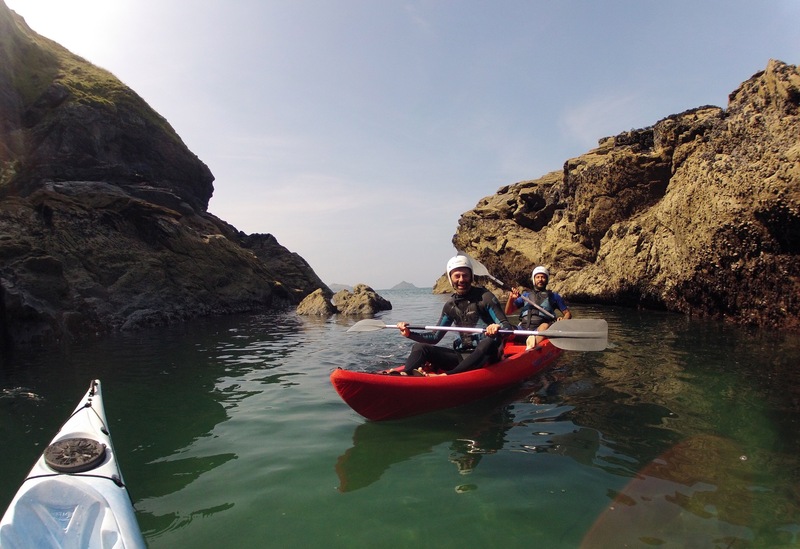 £40/person if using a double kayak £55/person if using single kayaks. Max group size of 4 persons to one guide if in singles and 6 persons to one guide in doubles. Specializing in small groups keen to explore as much as possible, good level of fitness required and must be over 16. Duration is 3 hours from start to finish with around 2.5 hours spent on the water. 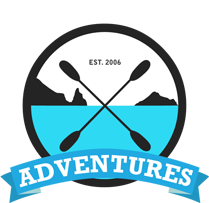 Previous kayaking experience is preferred but not essential (particularly if there are two or more persons wishing to have a private session). We recommend that you have a good level of fitness and are up for a bit of a challenge for these sessions, also be prepared to get a bit wet! You can choose double kayaks or single kayaks for this sessions. We provide all safety kit and wetsuits if you require them. All you need is swim wear (for under our wetsuits), a towel, sunscreen and water. We hope to see lots of coastal birdlife, sometimes Seals and other marine life but we guarantee stunning Coastline and a friendly guide every time. 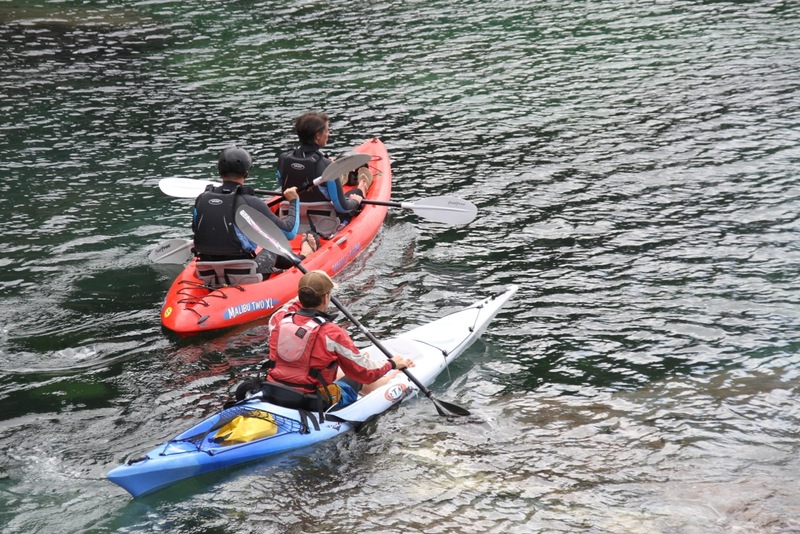 Kayaks become unstable if you are too heavy for their buoyancy, also people can find the seating position uncomfortable if carrying much excess weight. We recommend persons no heavier than 17 stones on kayaks, although we have taken a few Rugby players out who were nearer 20 stone so it can be more about proportion of weight to height etc. Please let us know if you are a bit over weight before booking as we are more than happy to alter the session to suit your needs and it also saves any awkward situations for either party on the activity day. Normally it is best to do a more sheltered introduction session so that you are not committed to a longer journey if you feel uncomfortable or unstable . 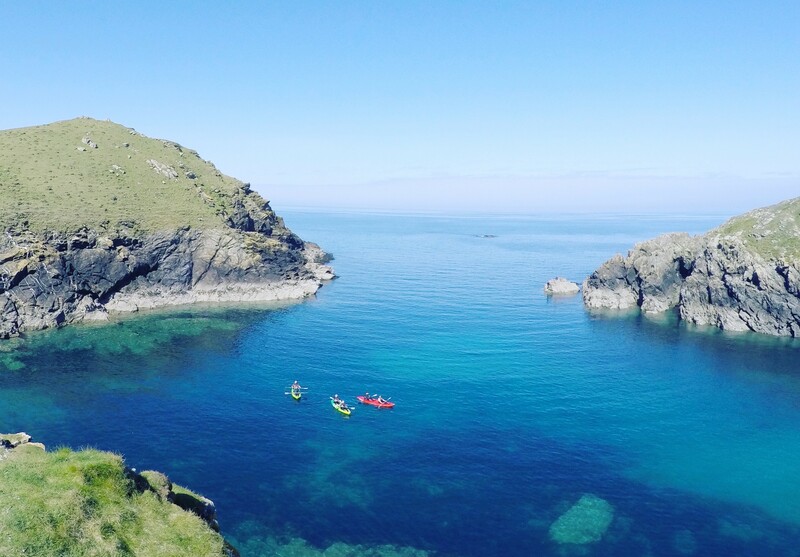 If you get on well you can then look at coming out again another time to use the skills and confidence gained in the sheltered harbour to further explore the coastline. Thanks very much for an amazing trip last weekend. We never knew the cornish coastline could be so beautiful and your knowledge and stories along the way made it that much more special for us. 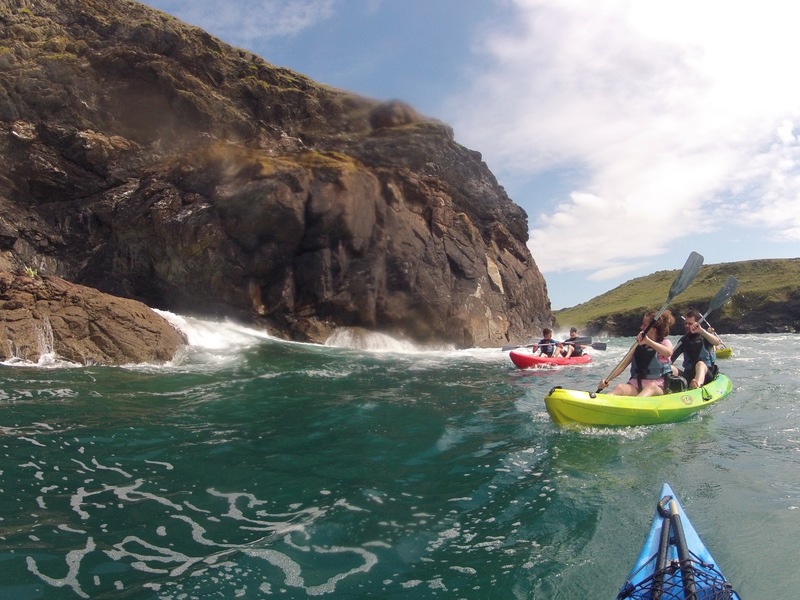 I cant believe we left it until our 40’s to have a go at kayaking but so glad we did!